Welcome to MOHAN (Multi Organ Harvesting Aid Network) Foundation website (www.mohanfoundation.org hereinafter referred to as MOHAN Foundation or we or us or site or website or our site). MOHAN Foundation is a not-for-profit, non-government organisation working to facilitate deceased organ donation in the country. It is a public charitable trust started in 1997 and registered under the The Indian Trusts Act, 1882. By accessing our site you are agreeing to comply with the TOU. Should you object to any term or condition of the TOU or any guidelines, or policy, or any subsequent modifications there to or become dissatisfied with our site in any way, your only recourse is to immediately discontinue use of our site. Every eligible person accessing our website would be hereinafter referred to as the "user" and every eligible person registering on our website would be hereinafter referred to as the "member". Use of our site is available only to persons, who are Citizens of the Republic of India, who are 18 years of age and above and persons who can enter into a legally binding contract, and who are not barred by any law for the time being in force. If you are registering with our site not as an individual but on behalf of a legal entity, then you should represent that you are fully authorized to do so and you are authorised to register for donor card, sign in to become a member, log in to access particular sections of the website, to comment, to express your opinion by taking the survey and that any information placed on the site on behalf of the legal entity is your sole responsibility and you agree to be accountable for the same. 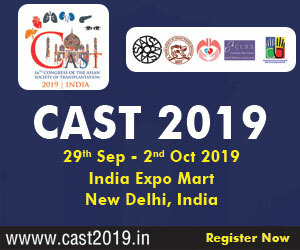 Any of the persons termed such as Doctor/Physician/Lab/Hospital/Pharmacy/Nurse/Diagnostic Centre/Health care, Rehabilitation Centre, Transplant Hospital, Eye Bank, Blood Bank, Transplant Surgeon, Organ Retrieval Centre, etc. would be hereinafter individually and collectively referred to as Medical Establishment (ME). Users/Members please be informed, agree and acknowledge that MOHAN Foundation does not make any representation or warranty and do not guarantee the accuracy or legitimacy of any information/opinion/content/provided vide the listing services of ME to members or users vice versa. User/member further agree that the advice/opinion of the ME will not provide an adequate solution to member's question regarding an illness. MOHAN Foundation does not recommend, verify, endorse, evaluate or guarantee any advice, opinion, report, information or other services provided by ME. MOHAN Foundation does not warranty or confirm the validity, accuracy, completeness, safety, usefulness, reliability, legality, quality or the applicability of the content or advice/opinion provided by the ME. MOHAN Foundation will not be liable for any physical, mental, monetary or other damages/loss sustained due to use of our site and due to reliance by members on such advice/opinion/information, provided by the ME. MOHAN Foundation does not provide any specific medical advice for cure or treatment. All the contents in MOHAN Foundation's site are provided for information purposes only. The contents/opinion/advice are not substitute for professional medical advice, diagnosis or treatment or personal/physical examination of the member by a physician/doctor. The advice/opinion provided by a doctor on the site is for informational purposes only. Specific medical treatment or medical advice will not be provided on MOHAN Foundation’s site. Members should not rely solely on advice/opinion provided by ME on this website. Members should not use any content/opinion/advice for diagnosing or treating a medical or health condition. MOHAN Foundation strongly recommends its members to consult with a qualified allopathic Doctor/Physician for a personal physical examination for the member's treatment, if required. User/Member should not disregard any professional/medical advice given during his/her/their personal physical examination by member's physician/doctor, nor should the member delay such personal physical examination by relying on the opinion/content provided on or through MOHAN Foundation’s site. Acting on reliance of any information/content/opinion provided by our website is solely at member's own risk and consequences. The use of MOHAN Foundation’s site and its content or opinion is at member's own risk and consequences. MOHAN Foundation does not endorse or recommend any doctor/medical expert/health care expert or any particular Hospital/Lab/Diagnostic Centre/Pharmacy. It is the responsibility of the member to verify the credentials of the ME before any interaction. The medical experts/doctors are not employees/agents of MOHAN Foundation and MOHAN Foundation does not assume any responsibility for any act or omission of any such ME . Member understands and acknowledges/agrees that although a ME may have been accessed through the site, MOHAN Foundation cannot/does not assess either the competence of the ME or the appropriateness for member's needs of the ME. The member understands and agrees that any opinion of the ME and others on MOHAN Foundation’s site are solely their opinions and not that of MOHAN Foundation. Therefore MOHAN Foundation does not assume any responsibility or liability for the accuracy, reliability, dependability of the contents/opinion on the site including the qualification, experience, credentials, quality standards or other data regarding the ME. MOHAN Foundation does not assume any responsibility, liability for damage or injury to User/Member arising from the use of any content/information, advice/opinion given on its website. User/Member hereby releases and agrees to hold harmless MOHAN Foundation, its employees, its trustees, its sponsors, its associated organisations, and its advisors from any and all causes of action and claim of any nature resulting from the act or omission of ME. The use of MOHAN Foundation’s site and the content is at member's sole risk and consequence. In no event shall MOHAN Foundation be liable for any damages, over personal injury/wrongful death, sufferings, loss of profits or damages resulting from use of data or inability to use MOHAN Foundation’s site or the content. As an added feature, MOHAN Foundation website gives its users/members the opportunity to post their comments/views/opinions/suggestions for particular sections of the site. There might be counter responses from other users/members and MOHAN Foundation cannot be held responsible/liable for it. Nor is MOHAN Foundation responsible/liable for the damages sustained by the user/member by reliance on information/reports/views/opinions/comments provided by other users/members. Any reliance on such information/advice/opinion is done at the members/users full and sole liability. The feature of posting comments/views/opinions/suggestions is by nature public and any details/information you post and receive are susceptible to/accessible to outsiders for which MOHAN Foundation does not assure the privacy of such details/information. While using MOHAN Foundation, member should not post, transmit any content, details, data, information, material, which is in violation of local, State, National, and international laws; which is unlawful, threatening, harassing, abusive, obscene, vulgar, defamatory, slanderous, libelous, hateful, racist, promotes violence, ethnically harmful or otherwise objectionable, as also determined by MOHAN Foundation at its sole discretion; which infringes on the intellectual property rights of others. MOHAN Foundation may use its discretion to delete such posts, if any. The member should not distribute viruses or other harmful code that will interfere with or disrupt MOHAN Foundation’s servers or networks connected to the site. MOHAN Foundation in its absolute discretion may block or deny access to any member who is in violation of any of the terms of this agreement. MOHAN Foundation may provide links to third party websites or external websites/internal servers or resources including advertisements by others. MOHAN Foundation has no control over such sites and the information provided in them. MOHAN Foundation does not recommend and does not endorse the content on/off any third party websites including that of advertisers. MOHAN Foundation is not responsible/liable for the content of these external sites nor does MOHAN Foundation endorse, warrant or guarantee the products, services or information, messages, accuracy, genuiness, reliability described or offered or advertised at these other external websites. Any dealing/use by a member with these external or third party website including advertising is between the member and those websites/advertisers and is solely at the risk of the member/user. MOHAN Foundation shall not be responsible or liable for any loss or damage of any sort incurred as a result of any such dealings or as a result of the presence of such advertisers on the site of MOHAN Foundation. Content/opinion provided on or through MOHAN Foundation regarding drug or dietary supplements have not been evaluated or approved by the Drug Controller of India or any other statutory body. Member/User agrees to consult and act according to member's own doctor/medical expert before beginning any course of dietary supplementation or treatment. MOHAN Foundation's functions/services depend on various factors such as software, hardware and communication networks, etc. MOHAN Foundation does not guarantee that MOHAN Foundation's services will be continuous, uninterrupted, timely, secure or error-free and MOHAN Foundation is not responsible/liable for all that and for the failure of the internet or any data or telecommunication equipment, system or network used in connection with the site or its services or its merchandise. MOHAN Foundation does not represent or warrant that its site or merchandise will meet with the requirements or expectations of a member/user and that any content, material or results that may be obtained from use of its site or its merchandise will be accurate, timely, complete, reliable, genuine and that any errors in any of its services will be corrected. MOHAN Foundation reserves the right to modify or discontinue, temporarily or permanently, its services with or without notice to its members. MOHAN Foundation, in its sole discretion and for any reason, may terminate member's participation/membership and deny access to any or all current or future use as a member of MOHAN Foundation. Member/User acknowledges and agrees that MOHAN Foundation's site and the merchandise/services are provided on "AS IS" and "AS AVAILABLE" basis. The use of MOHAN Foundation site is at the member's sole risk. MOHAN Foundation expressly disclaims all warrantees of any kind whether express or implied, statutory or otherwise, including, without limitations, the implied warranties of merchant ability, fitness for a particular purpose and non infringement, security or accuracy. Member acknowledges and agrees to defend, indemnify and hold MOHAN Foundation, it’ s employees, its trustees, its sponsors, its associated organisations, and its advisors harmless from and against any claims, actions or demands, liabilities and settlements including without limitation, legal fees, resulting from or alleged to result from member's/user’s violation of these terms and conditions. 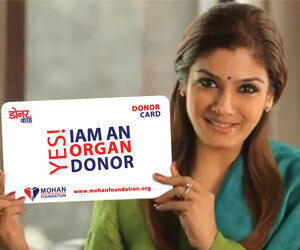 MOHAN Foundation maintains a donor registry and gives its users/members an opportunity to express their wish to donate their organs by signing up for a donor card. MOHAN Foundation cannot be held liable/responsible if some unauthorised person/organisation registers on your behalf. While reviewing if MOHAN Foundation finds persons below 18 years of age registering for a donor card or if any other personal details filled by the user while registering is invalid then MOHAN Foundation has the right to delete such registrations without seeking permission. Also, if the same person is found to repeatedly register for a donor card, MOHAN Foundation would delete such registrations from the registry. MOHAN Foundation also holds the right to provide this information to the ‘National Donor Registry’ of the Government of India when it is launched in the future. Also, the details provided by user/member while registering will be used by MOHAN Foundation for statistical and analytical purposes. The user/member before registering for the donor card on the MOHAN Foundation website should agree to the above mentioned terms and conditions. Although, if a person at any point after registration wishes to be removed from the donor registry list, MOHAN Foundation gives him/her the opportunity to contact them at the address provided below to be removed from the list. This agreement shall be governed by and construed in accordance with the laws of REPUBLIC OF INDIA and the Courts at Chennai, Tamil Nadu, India shall have exclusive jurisdiction in all matters and disputes arising out of and relating to the site. The parties shall attempt to settle any dispute arising from and/or in connection with this agreement by way of negotiation. If the dispute is not so resolved within 30 days, it shall be referred to and finally resolved by arbitration under the Arbitration and Conciliation Act, 1996. Each party shall nominate its own arbitrators and the two arbitrators thus nominated shall appoint the Chairman of Arbitral Tribunal and the place of arbitration shall be Chennai, Tamil Nadu, India only. Arbitrator may/should be from Medical/Health Care profession. All disputes under this agreement shall be subject to the exclusive jurisdictions of the courts situated at Chennai, Tamil Nadu, India only. The language of the Arbitration shall be English. MOHAN Foundation is the sole/exclusive owner of all the intellectual property and in particular all the patent rights, the copy-right/rights, trademarks rights, database rights, trade secret rights and patents in MOHAN Foundation and in any software, application, graphics, text and other materials used therein. A member/user may view, use or download a single copy of the material/content of MOHAN Foundation website solely for member's personal, internal and non-commercial use. The member/user should not use, modify, publish, broadcast, transmit, transfer or sell, rent, lease, reproduce, create derivative works from, distribute, circulate, disseminate, perform, link, display or in any way exploit any merchandise or intellectual property, in whole or in part, except with the prior written consent of MOHAN Foundation. MOHAN Foundation appreciates and values/recognizes/respects the intellectual property of others and expects the same from its users. Any claim with regard to copyright of intellectual property infringement at MOHAN Foundation site should be notified to MOHAN Foundation by calling, writing or e-mailing at the address given below. Information/description of the copy-righted work claimed to be infringed by MOHAN Foundation and its location on the site. A statement by the complainant, made under penalty of perjury, that the information in his/her/its your claim/notice is accurate and that he/she/it complainant is the copyright owner or authorized to act on behalf of the owner.